CIT Vs. RPG Transmissions Ltd.
Elipe Dharma Rao And M. Venugopal, Jj. Elipe Dharma Rao, J. – T. C. (A.) Nos. 310 to 312 of 2007 are filed against the common order dated January 23, 2006, passed by the Income-tax Appellate Tribunal, Madras “A” Bench, in I. T. A. Nos. 751 to 753/Mds/2005. 2. The appeals in T. C. (A.) Nos. 1388 to 1390 of 2007 have been preferred by the Revenue against the common order dated January 23, 2006, passed by the Income-tax Appellate Tribunal (“the Tribunal”) in I. T. A. Nos. 1036 and 1058/Mds/2005 for the assessment years 1997-98 and 2001-02. 3. The Assessing Officer completed the assessment in these cases, after complying with all the formalities by disallowing certain claims made by the assessee and by making additions. The appeals preferred by the assessee before the Commissioner of Income-tax (Appeals) as against the orders passed by the Assessing Officer were partly allowed. Challenging the same the assessee as well as the Revenue filed appeals before the Income-tax Appellate Tribunal. The Tribunal partly allowed the appeals filed by the assessee and dismissed the appeals filed by the Revenue. Aggrieved by the said order the Revenue has filed T. C. (A.) Nos. 310 to 312 of 2007. Likewise, T. C. (A.) Nos. 1388 to 1390 of 2007 are filed by the Revenue against the order dated November 17, 2006, passed by the Income-tax Appellate Tribunal in I. T. A. Nos. 1036/1058/1489/Mds/2005. “1. Whether, in the facts and in the circumstances of the case, the Tribunal was right in holding that the reopening of the assessment was illegal ? 2. Whether, in the facts and in the circumstances of the case, the Tribunal was right in holding that the licence fee paid by the assessee to RPGE, Bombay, for the assessment years 1996-97, 1998-99 and 1999-2000 are nothing but expenditure incurred wholly and exclusively for the purpose of business ? 2. Whether, in the facts and in the circumstances of the case, the Tribunal was right in holding that the licence fee paid by the assessee to RPGE, Bombay, for the assessment year 1997-98 (T. C. A. No. 1388 of 2007) and 2001-02 (T. C. A. Nos. 1389 and 1390 of 2007) are nothing but expenditure incurred wholly and exclusively for the purpose of business? 6. We have heard the learned counsel appearing on either side in respect of all the issues framed by this court and referred to above and perused the entire materials available on record. Substantial question of law No. 1 in both the batches. 7. The above appeals involve common substantial questions of law on the claim of licence fee payment and the claim of interest on borrowed funds utilised for investment in shares and, therefore, for the sake of brevity of judgment, the said common issues are dealt with together and decided. The issue relating to legality of reopening of the assessment, which is one of the substantial questions of law is taken up first and separately dealt with. 8. Before adverting to the issues involved in the appeals, a brief prelude of the facts are required to be stated. 9. The assessee, M/s. RPG Transmission Ltd., has filed its return of income for the assessment year 1996-97 on November 29, 1996, and declared a net income of Rs. 7,31,70,390. The assessment was completed under section 143(2) on February 22, 1999. A notice was served upon the assessee under section 148 and by letter dated April 15, 2003, the assessee requested to treat the return filed by him on November 29, 1996, as a return filed in response to the notice under section 148. Thereafter, the Assessing Officer issued notices under sections 142(1) and 143(2) seeking certain details, information and explanations. Pursuant to the said notices, the assessee appeared through its authorized representatives who appeared in person and furnished certain details. After perusing the reply, the Assessing Officer came to a conclusion in pages 15 and 16 of the assessment order, that huge amounts were received by RPG Enterprises Ltd. from the RPG group companies in the name of licence fee. In respect of the subsequent assessment years, i.e., 1996-97, 1997-98, 1998-99, 1999-2000 and 2001-02 similar procedure was followed. 10. In so far as the assessment for the years 1996-97 which is the subject matter of I. T. A. No. 751/Mds/2005, the assessee had objected to the reopening of the assessment claiming it as statutorily barred by limitation. On the contrary the Assessing Officer pursuant to the notice under section 142(1) and 143(2) came to a conclusion that the facts emerging from the response would indicate that the assessment could be reopened under section 147 read with section 148. It was this reopening of assessment which was the subject matter of challenge before the Commissioner of Income-tax (Appeals) claiming that the reopening of the assessment is barred by limitation under the proviso to section 147 of the Act. 11. It was contented before the Tribunal by the assessee that the Commissioner of Income-tax (Appeals) had not rendered a finding on the issue of limitation and, therefore, before the Tribunal the assessee, as a preliminary objection, had raised the issue of limitation claiming that the reopening of assessment is clearly barred by the proviso to section 147. The Tribunal, while considering the issue of limitation has elaborately considered the contentions of the assessee as well as the Department and has also taken note of several judgments rendered by various High Courts, including this court as well as the apex court, on the proposition and came to a conclusion that in so far as the reopening of the assessment for the year 1996-97 is concerned, the assessments were reopened after a lapse of four years and, therefore, it would clearly be barred by the limitation set out in section 147 of the Act. 12. In so far as the assessment year 1998-99 is concerned, the assessments were reopened within a period of four years and, therefore, the issue of applicability of the proviso to section 147 would not arise for consideration. However, the Tribunal has recorded a finding that the reopening of the assessment was not in accordance with the provisions of section 147 in so far as the reasons recorded to believe that the income has escaped assessment is not inferable from the materials on record. Similarly, with regard to reopening of the assessment for the assessment years 1998-99 and 1999-2000 the issue of limitation did not arise for consideration. It was only on the merits of the assessment that the assessee had preferred an appeal before the Tribunal. After recording its finding with regard to the applicability of the proviso to section 147 in respect of the assessment year 1996-97 and the same being barred by limitation, the Tribunal, has, in so far as the subsequent assessment years are concerned, recorded a finding that the reopening and, thereafter, reassessment was not in conformity with the provisions of section 147. It is against the aforesaid findings of the Tribunal that the Revenue has preferred these appeals. 14. The proviso to the said section provides for action to be taken after the expiry of four years, if the income chargeable to tax has escaped assessment for such assessment year by reason of the failure on the part of the assessee to file a return under section 139 and in response to issue of notice under section 142(1) or section 148 or to disclose fully and truly all material facts necessary far that assessment year. In this case, it is admitted that the assessee had filed its return under section 139 and, therefore, the requirement to file a return under section 139 has been met by the assessee. Similarly, in response to the notice under section 148 dated March 25, 2003, the assessee has sent a reply dated April 15, 2003, requesting to treat the return filed on November 29, 1996, as a return filed in response to the notice under section 148. Consequent upon which the Assessing Officer has issued a notice under section 142(1) calling upon the assessee to file certain information, details and explanation. Therefore, substantive compliance with the proviso to section 147 has been done, however what remains to be now decided is as to whether the information, details and explanation provided would meet the disjunctive requirement contemplated under the last limb of the proviso to section 147. In this regard a look at section 143 of the Act becomes necessary to determine as to whether the reopening by invocation after the extended period is justifiable. (b) the tax and interest, if any, shall be computed on the basis of the total income computed under clause (a) ;. . .
(iii) in respect of a deduction, where such deduction exceeds specified statutory limit which may have been expressed as monetary amount or percentage or ratio or fraction ; . . .
(i) where he has reason to believe that any claim of loss, exemption, deduction, allowance or relief made in the return is inadmissible, serve on the assessee a notice specifying particulars of such claim of loss, exemption, deduction, allowance or relief and require him, on a date to be specified therein to produce, or cause to be produced, any evidence or particulars specified therein or on which the assessee may rely, in support of such claim : . . .
(ii) issued under clause (ii) of sub-section (2), or as soon afterwards as may be, after hearing such evidence as the assessee may produce and such other evidence as the Assessing Officer may require on specified points, and after taking into account all relevant material which he has gathered, the Assessing Officer shall, by an order in writing, make an assessment of the total income or loss of the assessee, and determine the sum payable by him or refund of any amount due to him on the basis of such assessment : . . .
15. A bare perusal of section 143 would indicate that the Assessing Officer is required to comply with the provisions of section 148 before reassessment proceedings and, therefore, a perusal of section 148 also becomes inevitable. “148. (1) Before making the assessment, reassessment or recomputation under section 147, the Assessing Officer shall serve on the assessee a notice requiring him to furnish within such period, as may be specified in the notice, a return of his income or the income of any other person in respect of which he is assessable under this Act during the previous year corresponding to the relevant assessment year, in the prescribed form and verified in the prescribed ; manner and setting forth such other particulars as may be prescribed and the provisions of this Act shall, so far as may be, apply accordingly as if such return were a return required to be furnished under section 139 . . .
16. The Assessing Officer has formulated an opinion that the assessee has failed to fully and truly disclose all material facts necessary for completion of assessment. The Assessing Officer had served a notice under section 143(1) and under section 148 seeking response to certain specific queries which has admittedly been provided for by the assessee. Now, the issue that requires to be decided is as to whether the response to the queries would justify a true and full disclosure of all material facts as contemplated under the proviso to section 147. 17. We have given our anxious consideration to the submissions on either side and our attention was specifically drawn to the finding of the Assessing Officer contained in page 3 of the assessment order dated March 26, 2004. The learned counsel for the Revenue did not, however, cite any judgment in support of the contentions and merely drew our attention to the findings of the Assessing Officer and the Commissioner of Income-tax (Appeals) to substantiate his contentions. The learned counsel also pointed out that the findings of the Tribunal with regard to the invocation of the extended period of limitation have been erroneously interpreted by the Tribunal and assailed the same. 18. Per contra, the learned senior counsel for the respondent would substantiate the findings of the Tribunal and specifically drew our attention to the order of the Tribunal rendering a finding that the reopening of the assessment is barred by limitation. “. . . an Income-tax Officer acquires jurisdiction to reopen assessment under section 147(a) read with section 148 of the Income-tax Act, 1961, only if on the basis of specific, reliable and relevant information coming to his possession subsequently, he has reasons which he must record, to believe that, by reason of omission or failure on the part of the assessee to make a true and full disclosure of all material facts necessary for his assessment during the concluded assessment proceedings, any part of his income, profit or gains chargeable to income-tax has escaped assessment . . .
21. In a nut-shell, the principles that emerge from the aforesaid decisions including the authoritative pronouncement of the hon’ble Supreme Court are that the Assessing Officer’s finding should categorically establish that the assessee has failed to disclose “fully and truly” the material facts which resulted in the escapement of the assessment on taxable income. The hon’ble apex court has also laid down certain principles to be followed while deciding the cases of such nature, which are as follows ? 5. if there is no change of law or new material which has come on record then the Assessing Officer cannot reopen the assessment. 22. We find from the reasons set out in the assessment orders that the assessee has explained and disclosed the entire facts which would constitute a full disclosure and, therefore, we have no hesitation to hold that the reopening of assessment is barred by the proviso to section 147. Further, the facts which emerge from the assessment order as well as the order of Commissioner of Income-tax (Appeals) are well founded and in terms of the principles laid down by the apex court. For the aforesaid reasons, we find that the Tribunal has correctly appreciated the facts in holding that the reopening of the assessment orders are barred by limitation. We find that the Commissioner of Income-tax (Appeals) as well as the Tribunal has concurrently held from the facts that the proviso to section 147 would not apply to the facts of this case and since it is a finding of fact that too which is essentially based on the principles which are gathered from the judgments referred to above, we find that the Assessing Officer has departed from the said principles in arriving at a conclusion that the proviso to section 147 would apply in the instant case. We see no reason to deviate from the finding of fact and, hence, the appeal of the Revenue fails on this ground. Therefore, the first part of the substantial question of law No. 1 in T. C. (A.) Nos. 310 to 312 of 2007 with regard to the invocation of extended period of time under the proviso to section 147 is answered in the affirmative and in favour of the assessee. 23. Now, we shall dealing with the second part of the substantial question of law No. 1 as to whether the Assessing Officer is right in reopening the assessment under section 147, even though the same is within the period stipulated under the proviso to section 147. In so far as the assessments for the assessment years 1997-98, 1998-99 and 1999-2000 are concerned, the reopening of the assessment was done well within the period of four years, stipulated under section 147 of the Act and, therefore, the invocation of the extended period of limitation set out in proviso to section 147 does not arise for consideration for these assessment years, however, the essential issue to be considered is as to whether the Assessing Officer is justified in reopening the assessment once the original assessment has been done under section 143(3). Section 147 is the enabling provision which deals with escaped assessment under the heading “Income escaping assessment”. The section enunciates the ground under which the income which has escaped assessment can be assessed or reassessed. The power of the Assessing Officer to assess or reassess such income or other income chargeable to tax, which has escaped assessment circumscribes from the preceding words of the said section that is, “if the Assessing Officer has reasons to believe that any income chargeable to tax has escaped assessment”. 24. The learned counsel for the Revenue succinctly put forth his argument that the Assessing Officer rightly came to a conclusion that income chargeable to tax has escaped assessment and that the reasons to believe has to be gathered from the assessment order itself, which in his view are exhaustive and the Assessing Officers recording of reasons was neither “vague or fanciful”, nor was it something which can be termed as “change of opinion” on the same set of facts, without any new material available after the assessment. 25. Essentially, the Assessing Officer while recording his reasons to believe that income has escaped assessment, has also come to a conclusion that complete details were not available and, therefore, came to a conclusion that the assessee has suppressed the facts. The learned counsel for the Revenue further pointed out that the factum of payment to RPG Enterprises Ltd. in the form of licence fee came to the knowledge of the Assessing Officer only from the assessment order of RPG Enterprises Ltd., Bombay, and, therefore, it is not as if the assessee has disclosed all the materials fully and truly even when the original assessment proceedings were concluded and, therefore, it can by no stretch of imagination be termed as “change of opinion”. “On the basis of the information contained in the letter of Shri Bagai and the documents annexed to it, the Income-tax Officer could have had reason to believe that the fair market value of the shares was far more than the sale price and the market quotations from Calcutta Stock Association shown by the assessee at the time of original assessment were manipulated ones and as a result income chargeable to tax had escaped assessment. It could not be said that the information that was contained in paragraph 2 of the letter of Shri Bagai was not definite information and it could not be acted upon by the Income-tax Officer for taking action under section 147(b) of the Act . . .
“. . . . if an expenditure or a deduction was wrongly allowed while computing the taxable income of the assessee, the same could not be brought to tax by reopening the assessment merely on account of subsequently the Assessing Officer forming an opinion that earlier he had erred in allowing the expenditure or the deduction . . .
“The duty of an assessee is limited to fully and truly disclosing all the material facts. The assessee is not required thereafter to prepare a draft assessment order. If the details placed by the assessee before the Assessing Officer were in conformity with the requirements of all applicable laws and known accounting principles, and material details had been exhibited before the Assessing Officer, it is for the Assessing Officer to reach such conclusions as he considered was warranted from such data and any failure on his part to do so cannot be regarded as the assessee’s failure to furnish the material facts truly and fully. Any lack of comprehension on the part of the Assessing Officer in understanding the details placed before him cannot confer a justification for reopening the assessment, long after the period of four years had expired. On the facts of this case, it is clear that the escapement of income, if any, on this account is not on account of any failure on the assessee’s part to disclose the material facts fully and truly. The notice issued by the Assessing Officer in exercise of his power under section 147, therefore, cannot be sustained. “It would be immaterial whether the Income-tax Officer at the time of making the original assessment could or could not have found by further enquiry or investigation, whether the transaction was genuine or not if, on the basis of subsequent information, the Income-tax Officer arrives at a conclusion, after satisfying the twin conditions prescribed in section 147(a), that the assessee had not made a full and true disclosure of the material facts at the time of original assessment and, therefore, income chargeable to tax had escaped assessment . . . The crux of the decisions cited by the Revenue is that the Assessing Officer is entitled to reopen the assessment taking aid under section 147 and if the facts and circumstances warrants so and thus it was contended that the findings of the Commissioner of Income-tax (Appeals) and the Tribunal are erroneous and, hence, require to be set aside. 28. Per contra, the learned senior counsel for the assessee pointed out that once the assessment is completed, it cannot be reopened for the mere asking unless and until the requirements of section 147 is met with all its rigour and as amplified by authoritative pronouncements of this court and the hon’ble apex court (which we have extracted above). The learned senior counsel also pointed out that once the original assessment is completed under section 143(3), the Assessing Officer cannot record vague and fanciful reasons to reopen the assessment and a mere “change in opinion” of the Assessing Officer will not entitle reopening of the assessment. It was further argued that nevertheless the expenditure incurred for payment of licence fee to RPG Enterprises Ltd. is in the nature of business expenditure and wholly and exclusively for the purpose of the business, it is allowable as a business expenditure. Therefore, it was contented that the Assessing Officer’s order of reassessment recording reasons to reopen has been rightly set aside by the Commissioner of Income-tax (Appeals) and confirmed by the Tribunal. We shall deal with this arguments pertaining to payment of licence fee in the latter part of this judgment. However, while deciding the issue as to whether the Assessing Officer is entitled to reassess such escaped assessment, we shall confine to the arguments pertaining to the purport and ambit of section 147 and the case law cited by either side. 29. 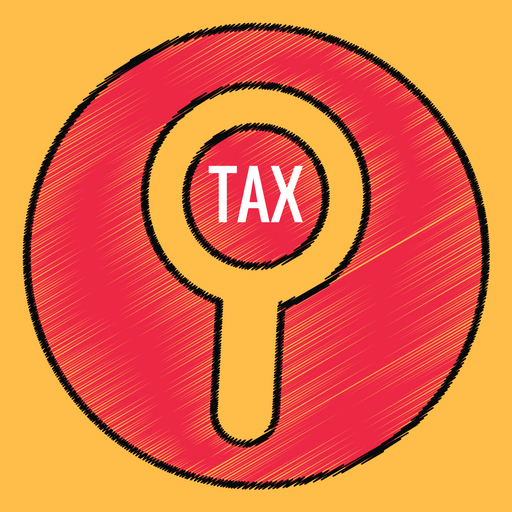 The crux of the issue that emerges for consideration as to whether the Assessing Officer has recorded reasons to believe that the income chargeable to tax has escaped assessment or not. In this regard, a detailed scrutiny of the assessment order would lead to a conclusion that certain specific queries were raised by the Assessing Officer and that the assessee had submitted its reply to the said queries which form the essential basis to determine as to whether there has been any income which has escaped assessment. 30. We have carefully examined the assessment orders and we find that the reasons recorded by the Assessing Officer goes into various details while coming to the conclusion that the income has escaped assessment and, in our opinion, the said material and details were already available with the Assessing Officer at the time of initial assessment and it does not appear to be something which has been gathered afresh or that which came to the notice of the Assessing Officer after the completion of original assessment. The payment of licence fee to RPG Enterprises Ltd. was not a new fact which has emerged, on the contrary in the original returns that were filed, the factum of payment of licence fee to RPG Enterprises Ltd. was clearly disclosed and, therefore, it appears that the Assessing Officer had a mere relook at the same facts, which, in our considered opinion, is against the dictum of the apex court and the principles that emerge therefrom. An analysis of the orders of the Commissioner of Income-tax (Appeals) as well as the Tribunal would show that the Assessing Officer had actually before him all the relevant materials at the time of the original assessment itself and, therefore, the finding of fact recorded by the Commissioner of Income-tax (Appeals) as well as the Tribunal does not call for any interference and we find that the reassessment was merely a relook of the earlier assessment with a change of opinion and, therefore, the reasons by which the Assessing Officer reopens the assessment are actually vague and fanciful. We also find that the Commissioner of Income-tax (Appeals) while dealing with the appeals arising out of the assessment had considered at length the Assessing Officer’s finding and came to a conclusion that the reasoning assigned by the Assessing Officer are not sufficient and, hence, the reopening of the assessment was bereft of materials to come to a conclusion that there were reasons to believe that the income has escaped assessment. Therefore, the order of the Commissioner of Income-tax (Appeals) overturning the order of Assessing Officer is, in our opinion, correct. We have also given our anxious consideration to the order of the Tribunal which has considered the issue at length and essentially the judgments in this regard. We are of the considered opinion that the Tribunal has correctly appreciated the finding of the Commissioner of Income-tax (Appeals) and applied the law in this regard in coming to such a conclusion. Arguments were advanced to the effect that it was a concurrent finding of facts by the Commissioner of Income-tax (Appeals) and the Tribunal and, therefore, no substantial question of law arises for consideration and we are, in the facts and circumstances of the case, in agreement with the findings of the Tribunal and the Commissioner of Income-tax (Appeals), which are essentially final fact finding authorities. It is not as if this court in exercise of its power under section 260A of the Act cannot examine the correctness of such concurrent findings. It is, however, to be borne in mind that while examining the orders of the Tribunal and the Commissioner of Income-tax (Appeals) when it is found that the findings were perverse or contrary to the law in this regard, we would have no hesitation to interfere. However, from an overall conspectus of the facts and law that emerges from the judgments referred to supra, we find no reasons to interfere with the findings of the Tribunal, which in turn confirmed the finding of the Commissioner of Income-tax (Appeals). We, therefore, answer these substantial questions of law in favour of the assessee and against the Revenue. 31. The first of the other two remaining issues that has to be considered is as to whether the payment of licence fee by the assessee to RPG Enterprises Ltd. is incurred wholly and exclusively for the purpose of the business. The learned counsel for the Revenue, taking us through the assessment orders (which are almost identical for all the assessment years) pointed out that the Assessing Officer has dealt with this issue elaborately and various facts including the payment by the subsidiary company to RPG Enterprises Ltd. over the years and has come to a conclusion that the payment of such licence fee cannot be termed as an expenditure wholly and exclusively for the purpose of the business. The learned counsel pointed out that the payment of licence fee, no doubt, is a question of fact which has to be gathered from the circumstances governing such payments and the services which are provided and pointed out that the Commissioner of Income-tax (Appeals) as well as the Tribunal committed an error, while upturning the order of the Assessing Officer. It is the case of the Revenue that the finding of fact cannot, be overlooked by the appellate authorities below unless there are just and valid grounds. Essentially, the learned counsel would submit that it is not the substitution of reasons that the appellate authorities are called upon to carry out but rather to evaluate the reason of the Assessing Officer to come to a conclusion whether the said findings are correct. In effect, the learned counsel would submit that the payments to RPG Enterprises Ltd. is gratuitous in nature and, hence, not wholly and exclusively laid down for the purpose of the business and, therefore, in conclusion would contend that the disallowance was valid and justified. 32. On the other hand, learned counsel for the respondent-assessee submitted that the respondent-assessee belong to the RPG group of companies. Learned counsel submitted that in case of large group of companies like that of the respondent-assessee, the business overheads is shared by establishing a common organisational service platform to provide common services to all the group companies. It is an established practice in many large business groups to establish a common administrative or service platform to cater the needs of the companies in the group. Learned counsel cited the examples of M/s. Duncon Industries Ltd. under the Duncan group of companies and M/s. Eveready Industries India Ltd. under the Williamson Magor group of companies paying licence fee for availing of benefits of the business organisation platform set up by Duncan Co. Ltd. and Williamson Magor and Co. Ltd. Such common organisation service platform catering the need of the group companies not only result in saving of business overheads but also gives benefit of synergies and result in better, efficient and centralised control over the group companies. 33. Learned counsel submitted that, in the present case, M/s. RPG Enterprises Ltd. is a group resource company providing centralised resources to all the group companies. The respondent-assessee, in terms of the agreement entered into with M/s. RPG Enterprises Ltd. availed of valuable services from M/s. RPG Enterprises Ltd. and also made use of RPG logo as part of their business operations for their business prospects. The respondent-companies by availing of service benefits from M/s. RPG Enterprises Ltd. also availed of valuable benefit for their business operations. The payment of licence fee to M/s. RPG Enterprises Ltd. by the respondent-assessee was towards their share of actual expenses incurred by M/s. RPG Enterprises Ltd. Learned counsel submitted that the assessee-companies were, therefore, gained through this cost sharing arrangement with M/s. RPG Enterprises Ltd. and in the absence of such cost sharing arrangement, the assessee would have incurred higher financial costs. The payment of licence fee paid to M/s. RPG Enterprises Ltd. was undoubtedly, as has been held by the Commissioner of Income-tax (Appeals) and the Tribunal, a business expenditure wholly and exclusively for the purpose of respondents’ business. 34. Learned counsel for the respondent-assessee, referring to the agreement entered into with M/s. RPG Enterprises Ltd., submitted that in terms of the said agreement, the licensee (respondents) has to reimburse the licensor (M/s. RPG Enterprises Ltd.) their share of costs incurred for availing of the benefits of the expertise developed by M/s. RPG Enterprises Ltd. It was on the basis of the said agreement, for availing of the benefit of business expertise from M/s. RPG Enterprises Ltd., the respondent companies had paid the licence fee on the basis of the debit notes raised by RPG Enterprises Ltd..
35. The assessing authority held that the respondent-assessee and M/s. RPG Enterprises Ltd. are two different legal entities under the Income-tax Act and, therefore, the sharing of expenditure of some other entity by the assessee was not an allowable expenditure. The assessing authority was of the view that it may be true and not disputed that RPG Enterprises Ltd. had incurred this expenditure but the business purpose of the assessee reimbursing the said expenses to RPG Enterprises Ltd. was not established and that the payment of licence fee was more in the nature of an application of income by the assessee. The Assessing Officer disallowed the claim of the assessee towards licence fee paid to M/s. RPG Enterprises Ltd. and added the said amounts to their income. The appellate authority, the Commissioner of Income-tax (Appeals), relying on the order passed by the Kolkata Income-tax Appellate Tribunal in the case of Dy. CIT v. Philips Carbon Black Ltd.  133 ITD 189/16 taxmann.com 64 (TM) was of the view that by taking the benefit of the common business establishment, the assessee could access the expert advice in various business fields and, therefore, licence fee paid to M/s. RPG Enterprises Ltd. was a business expenditure incurred wholly and exclusively for the purpose of business. The appellate authority found that the facts and circumstances of the assessee’s case were identical to the facts of Philips Carbon Black Ltd. and, therefore, following the order passed by the Kolkata Income-tax Appellate Tribunal, set aside the order of the assessing authority and deleted the disallowance of licence fee paid to M/s. RPG Enterprise Ltd. In the appeal before the Tribunal by the Revenue, the Tribunal, following the decision of the co-ordinate Bench of the Madras Income-tax Appellate Tribunal in the case of RPG Transmission Ltd. IT Appeal Nos. 751 to 753 (Mad) of 2005, held that since the material facts and circumstances governing payments made by the assessee towards licence fee were same as in the case of RPG Transmission Ltd. (supra) confirmed the order of the Commissioner of Income-tax (Appeals) in deleting the disallowance of licence fees paid to RPG Enterprises Ltd. and rejected the appeal filed by the Revenue. It, however, appears that in the appeal before the Tribunal neither the Revenue nor the assessee has brought to the notice of the Tribunal that the earlier order passed by the Tribunal in the case of RPG Transmission Ltd. (supra) was the subject matter of further appeal before this court. “The second question raised by the Revenue is, whether the Tribunal was justified in holding that the expenditure incurred by the assessee was exclusively for the purposes of business. A perusal of the order passed by the Commissioner of Income-tax (Appeals) shows that the Commissioner of Income-tax (Appeals) has recorded a finding of fact that M/s. RPG Enterprises Ltd. had actually rendered service for the business needs of the assessee-company and the assessee-company has also taken benefit of infrastructure resources, services and expert guidance of the group corporate centre at RPG Enterprises Ltd. and, therefore, the expenditure was allowable. In our opinion, the decision of the Tribunal is based on finding of fact. No substantial question of law arises from the order of the Tribunal. 38. We have carefully perused the order passed by the Bombay Tribunal, which was taken up in appeal before the Bombay High Court in the judgment referred to above. We find that the findings recorded by the Bombay Tribunal were essentially based on the decision of the Madras Bench of the Tribunal rendered in RPG Transmission’s case, which order is impugned before this court. We, therefore, cannot solely rely on the decisions cited by the learned counsel for the respondent-assessee as at the time of rendering the abovesaid decision, the present appeal was already admitted and, therefore, this court could very well examine the correctness or otherwise of the Tribunal’s order, independently. 39. We have carefully examined the order of the Tribunal, which is impugned before us in this appeal. We find that while concurring with the Commissioner of Income-tax (Appeals), on the issue of licence fee paid, the Tribunal had set aside the findings of the assessing authority. The essential facts which emerge from the material on record are as to whether the expenditure incurred by the assessee towards payment of licence fee to M/s. RPG Enterprises Ltd. was justifiable on the facts for such allowance. We note from the order of the Commissioner of Income-tax (Appeals) as well as the order of the Tribunal that the respondent-assessee by availing of service benefits from the group resource company, viz., M/s. RPG Enterprises Ltd. availed of valuable benefit for their business operations and that the payment of licence fee to M/s. RPG Enterprise Ltd. by the respondent-assessee was towards their share of actual expenses incurred by M/s. RPG Enterprises Ltd. The Commissioner of Income-tax (Appeals) and the Tribunal in their orders clearly pointed out that the expenditure incurred by the respondent-assessee towards licence fee payment to M/s. RPG Enterprises Ltd. were relatable to the business expediency and profits of the respondent-assessee and that the benefits availed of by the respondent-assessee from the service of the group resource company are tangible and justified. We, therefore, do not see any reason to interfere with the concurrent finding of fact recorded by the Commissioner of Income-tax (Appeals) and the Tribunal. The orders passed by the Commissioner of Income-tax (Appeals) and the Tribunal contain cogent reasons for arriving at such findings. 40. As pointed out by the learned counsel for the Revenue, the Assessing Officer has considered in detail the nature of payment vis-a-vis the services rendered and the expertise of RPG Enterprises Ltd. We have also seen the order of the Commissioner of Income-tax (Appeals) overturning the said finding and that of the Tribunal affirming the findings of the Commissioner of Income-tax (Appeals). We are in agreement with the said findings and since it is a concurrent finding of fact, in normal circumstances, this court would not interfere with such concurrent finding of fact unless it is pointed that the findings were perverse or that it was an erroneous application of law. The Revenue has not been able to countenance this question of fact before us by pointing out as to how the findings are perverse. The learned counsel for the Revenue has not pointed out as to whether the orders of the Bombay and the Calcutta High Courts have attained finality or not. In other words, it has not been informed by the Revenue as to whether the aforesaid decisions were taken upon on further appeal before the hon’ble Supreme Court or not. We, therefore, find that the Tribunal as well as the Commissioner of Income-tax (Appeals) has correctly held that the payment of licence fee to the RPG Enterprise is justified and, therefore, the business expenditure is liable to be deleted from the income. 41. We find that RPG Life Sciences as well as Philip Carbon Black are group companies of RPG Enterprises Ltd. and that both these companies are paying licence fees to RPG Enterprises Ltd. in the similar manner paid by the assessee herein. The facts in this case are identical to the facts involved in the decisions cited above as we had also an occasion to peruse the order of the Bombay and Calcutta Tribunals and, hence, we respectfully agree with the decisions of the Bombay and the Calcutta High Courts in dismissing the Revenue’s appeal in those cases. 42. We, therefore, answer substantial question of law No. 2 in both the batches against the Revenue. 43. The remaining issue which requires to be considered is with regard to the payment of interest on borrowed funds utilized for investment of share in CESE Ltd. and if the same can be treated as business expenditure on the grounds that it is one of the objectives of the assessee-company. 44. The Assessing Officer while reopening and reassessing the income has disallowed the expenditure towards payment of interest on borrowed funds, which were utilised for the purpose of investment in group companies. Consistently the expenditure has been disallowed in all the assessment years from 1996-97 onwards. As against the said findings, the assessee had preferred appeals before the Commissioner of Income-tax (Appeals) and the Commissioner of Income-tax (Appeals) had disallowed certain amount paid as interest and also deleted the addition of certain amount of income, as against which the assessee had filed appeals before the Tribunal. Cross-appeal was filed by the Revenue for the assessment year 2001-02 before the Tribunal. “36. (1) The deductions provided for in the following clauses shall be allowed in respect of the matters dealt with therein, in computing the income referred to in section 28-. . . Per contra, the learned senior counsel for the respondent-assessee, contended that with regard to the findings of the Tribunal regarding disallowance of business expenditure, the Tribunal has rightly come to a conclusion that the investments were made for the purposes of purchase of the shares in CESE Ltd. and that it has been pointed out that one of the purposes of the business of the assessee was also to invest in other business activities, including shares, debentures, etc. Furthermore, there is nexus between the nature of business carried out, i.e., generation and distribution of electricity, power transmission, etc., and, therefore, the investments was for the purpose of the business and, therefore, no part of the interest expenditure could be disallowed. In this regard, fortifying the said submission, the learned senior counsel also relied upon the decisions of this court as well as other courts. Learned senior counsel to buttress his arguments, relied on the following decisions. 48. It is an admitted fact that substantial expenditure on payment of interest was incurred only on account of borrowings which appears to have been invested in shares, savings certificates, fixed deposits, etc. In fact, section 57 lays down the permissible deductions and section 57(iii) lays down that the expenditure so expended should be wholly and exclusively for the purpose of making or earning such income. It is no doubt true that one of the purposes of the assessee’s business was also to invest in the shares of other companies. The Tribunal, in consideration of appeal of the assessee in paragraph 35 of the order dated January 23, 2006, has dealt with this issue at length. The Tribunal has found that there is proximate nexus between the business of the assessee-company and that of the company in which investments were made in the form of shares. It may be true that the returns are not commensurate with the expected returns in the form of interest, but if and when, the shares are liquidated, there is expectancy of substantial gains which fact has been glossed over by the Assessing Officer while confining his findings that the returns are far below the quantum of interest paid on the borrowed funds and, therefore, the basis of analysing that the payment of interest on borrowed funds has to be tested on the ground of quantum of return is untenable. Furthermore, as rightly pointed out by the learned senior counsel for the assessee, section 36(1)(iii) of the Act does not contemplate any test that the amounts so invested should be “wholly and exclusively for making or earning such income”. On a plain reading of section 36(1)(iii), we do not find any such requirement mandated in the section to confine such expense. Furthermore, the section also does not place any embargo for investments to be made in group concerns and subsidiary concerns. Therefore, we are not in agreement with the findings of the Commissioner of Income-tax (Appeals) and concur with the findings of the Tribunal in this regard. 50. In our judgment in the tax case appeal in T. C. (A.) No. 1980 of 2008, (since reported in CIT v. Spencers & Co. Ltd. (No.3)  359 ITR 644 which was heard along with these appeals and disposed of today, we have elaborately discussed the issue relating to payment of interest on borrowed capital and the reasons given by us in the said judgment for sustaining the order of the Tribunal are also applicable to the present appeals. 51. We have carefully scrutinised the reasons given by the appellate authority and the Tribunal for allowing the assessee’s claim of interest paid on borrowed capital. The appellate authority and the Tribunal found that the investment made in shares by the assessee by utilising borrowed capital was for strategic business purposes because the companies were promoted as special purpose companies to strengthen and promote its existing business by combining different business segments and, therefore, the claim was fully allowable under section 36(1)(iii). We also found that the Revenue did not adduce any material to show that the borrowed capital was utilised by the assessee for non-business purposes. The appellate authority, in our considered view, was correct in allowing the claim of the assessee and deleting the disallowance made by the assessing authority. We also find that the Tribunal in correct appreciation of the matter had in turn confirmed the finding of the appellate authority. We see no reason to interfere with the order passed by the Tribunal. 52. We, thus answer these substantial questions of law in favour of the assessee. In the result, all these appeals filed by the Revenue are dismissed. No costs. This entry was posted in Sec. 36(1)(ii), Sec. 37(1), Section 147 and tagged 359 ITR, In favour of Assessee, Madras High Court, reassessment of income.